For over 25 years Pile Contractors’ specially trained crews have provided deep foundation and shoring solutions for over 700 projects in Washington, Oregon, Idaho and Montana. 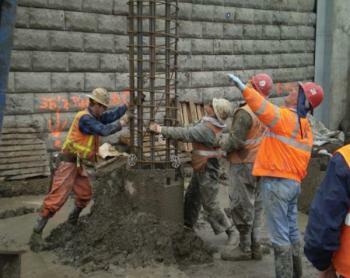 Pile Contractors has the expertise and the experience to handle any specialized foundation or shoring project. Our resume includes projects from a number of markets including Commercial and Industrial Buildings, Roads and Bridges, Residential and Emergency Repair. Our relationship with our customers begins with a collaborative approach. To meet the needs of your project, Pile Contractors provides timely submittals, value engineering, safety and attention to detail including prompt response from our principals. We pride ourselves in providing well trained crews, up to date equipment and timely delivery of our services. We specialize in the following products. Driven Pile: Including Sheet Piles, H-Pile, Pipe Pile, Precast Pile, Concrete Pile and Pin piles. Please browse this website to learn more about Pile Contractors,Inc. If you need any additional information, please do not hesitate to contact us. © 2018 PILE CONTRACTORS, INC. All Rights Reserved.